Such warnings are extremely rare as close encounters of this kind do not occur frequently and active satellites typically maneuver out of harms way days or hours in advance to avoid the possibility of a collision. Without maneuvering capability, the two spacecraft involved in Saturday’s encounter have no way of avoiding the close approach. 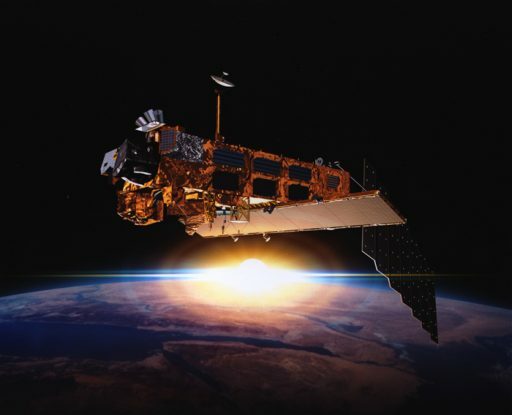 Due to errors in orbit determination and external influences on a satellite’s orbit, it can not be predicted with absolute certainty that the satellites will indeed collide. A 44% probability is considered very high – almost even odds of a collision taking place. 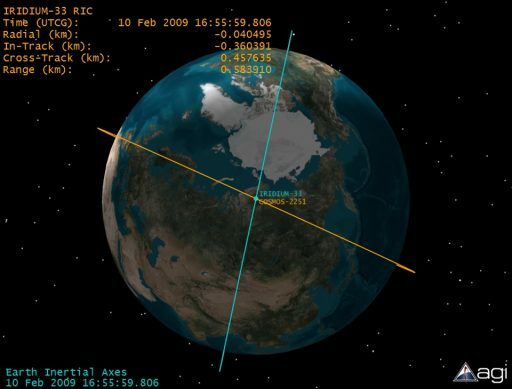 Satellite operators typically track conjunctions starting at a 1/1000 probability of collision. JSpOC did not identify the two satellites involved in Saturday’s conjunction but said the satellite operators were notified. The publicly available SOCRATES conjunction assessment tool processes orbital data from all non-classified objects and shows a conjunction between the Transit 9 satellite and a piece of NOAA-16 debris at 21:53:54 UTC and analysis of non-public data shows possible candidate encounters between the DMSP F9 & OPS 3367A satellites and a potential head-on collision of DMSP F15 & Meteor 1-26 over Antarctica. DMSP F15 and Meteor 1-26 appear to the the prime candidates for the encounter. 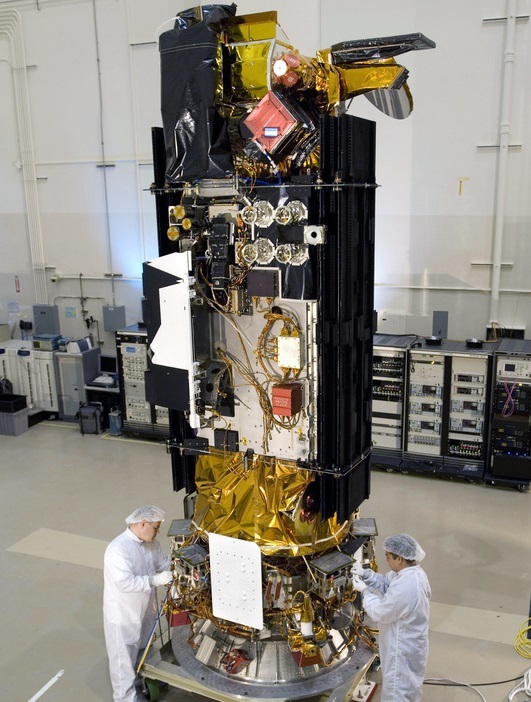 The 1,220-Kilogram DMSP F15 was launched in 1999 atop a Titan II rocket to join the Defense Meteorological Satellite Program as the first Block 5D3 satellite. 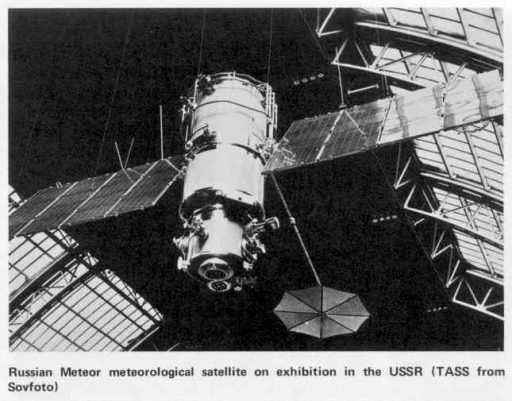 Meteor 1-26 is a Soviet-era weather satellite orbited in 1976 with a launch mass around 2.2 metric tons. Based on available orbital data, the two satellites will have a very close encounter at 21:53 UTC on Saturday, some 870 Kilometers above Antarctica. If a collision occurs between these two, it will be mostly head-on – creating the highest possible relative velocity between the two objects. The 800-Kilometer Sun Synchronous Orbit is home to a number of satellite programs, almost all of which operate relatively large spacecraft (>100kg); there have been only a few microsatellite missions to this type of orbit making it fairly safe to assume that at least one satellite involved in Saturday’s conjunction is of considerable size, capable of creating a large debris field if a collision does take place. Unfortunately, the 800-Kilometer altitude regime is already cluttered with debris from a large number of historical break-up events which is a particular worry to a number of Earth Observation Programs dependent on the 800km Sun Synchronous Orbit. Over recent decades, several debris clouds were released into the 800km orbital regime, primarily due to break-up events involving weather satellites operated by NOAA and the U.S. Department of Defence. Debris released in an 800km orbit are typically very long-lived and remain in orbit for decades – causing problems for active satellite missions near 800km for many years before becoming an issue for spacecraft at lower altitudes as they slowly descend toward the atmosphere. 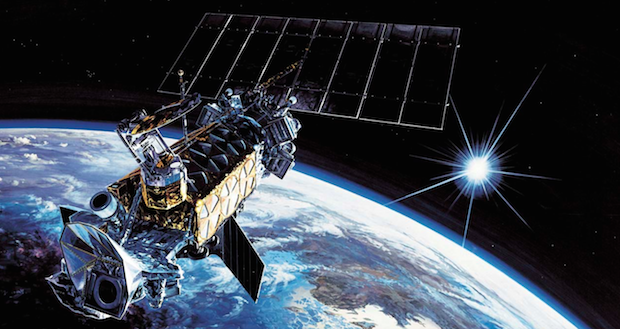 The 800-Kilometer Sun Synchronous Orbit is home to a number of missions dedicated to meteorology and Earth observation including NOAA’s polar-orbiting satellite fleet, the Defence Meteorological Satellite Program, the CBERS Earth observers operated by China and Brazil, Russia’s Meteor weather satellites, and the European MetOp weather satellites. The creation of a large debris cloud can have a significant and long-lasting effect for these active satellite programs. The last major satellite collision occurred on February 10, 2009 when the Iridium-33 and Strela-2M (Kosmos 2251) communications satellites collided at a relative speed of 11.7 Kilometer per second, 789 Kilometers over Siberia. To this date, there are still objects from the collision being cataloged with the current tally at over 600 debris attributed to Iridium-33 and over 1,600 debris attributed to Kosmos 2251. The number of small debris that can not be tracked from the ground is likely much higher. Due to the geometry of the collision, more of the Iridium debris were ejected into higher orbits while much of the Kosmos 2251 debris went into lower orbits, creating a spread ranging from 400 to 1,300 Kilometers in altitude. The International Space Station had to conduct a Debris Avoidance Maneuver in 2011 to move out of the way of a piece of debris from the collision and a 2012 encounter required the Station’s crew to take shelter inside their Soyuz spacecraft as a piece of Kosmos 2251 debris passed at close distance to the orbiting complex. China is also a major contributor to the debris problem in Low Earth Orbit, intentionally destroying the country’s retired Fengyun-1C weather satellite in 2009 in an anti-satellite missile demonstration. The event resulted in over 2,000 trackable debris and an estimated 15,000 debris particles too small to track from the ground. FY-1C debris since then have posed threats to low-orbiting spacecraft including the International Space Station. 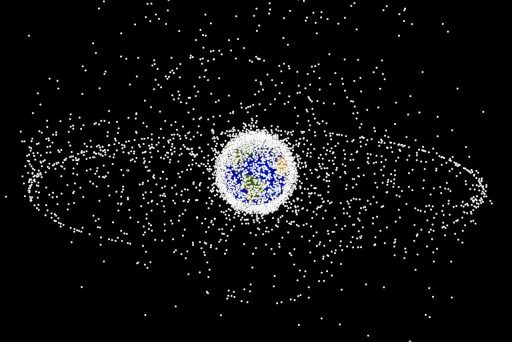 The increasing number of active and dead satellites as well as the growing population of orbiting debris is becoming a concern for the future of space activities. In a theory concerning collisional cascading, NASA scientist Donald Kessler in 1978 postulated a scenario in which the density of objects in Low Earth Orbit becomes high enough that collisions between objects can create a cascade of debris-releasing events which in turn increases the likelihood of further collisions and renders entire orbital ranges unusable for many generations. A large collision in a long-lived orbit could be a trigger for a cascading ‘Kessler Syndrome’ as the phenomenon has become known. The orbital regime at 800km is of particular concern given the number of debris already present at that altitude plus a number of satellites that are known to be prone to battery explosions (NOAA/DMSP) as major debris generation events. One scenario that emerged in recent years studied ESA’s Envisat satellite as a potential trigger for a cascading scenario. 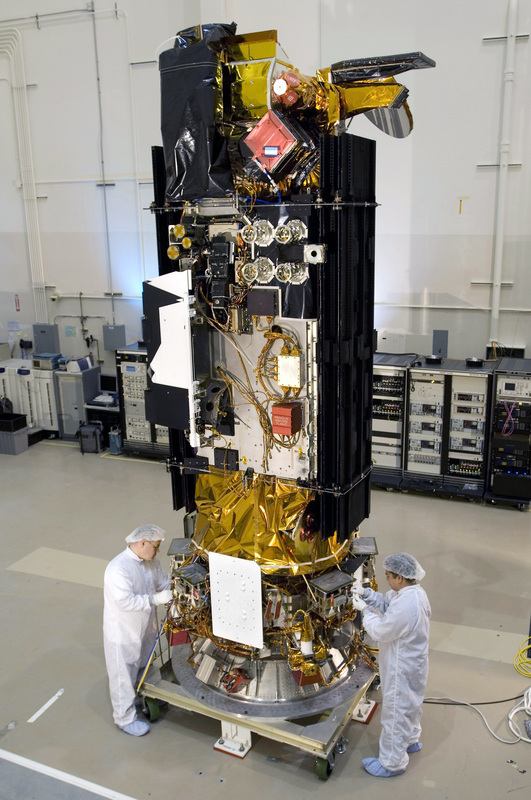 The massive Envisat, weighing in at nearly eight metric tons, stopped operating in April 2012 and roams in an orbit of 765 Kilometers. 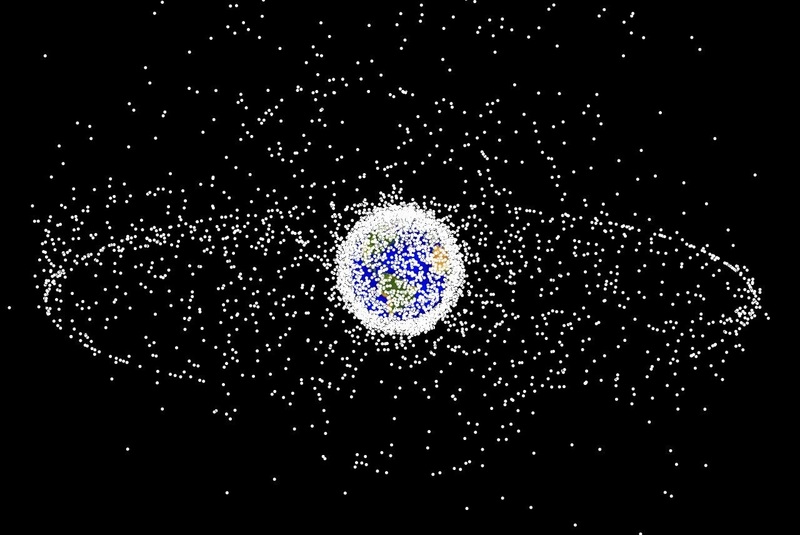 Given the current debris environment, two sizeable objects (>10 centimeters) come to within 200 meters of the satellite every year. A growing number of debris will increase the odds of Envisat being involved in a massive debris-creating collision, especially considering the satellite will remain in orbit for the next 100 years or so. Because of the potential danger it represents, Envisat has become a prime candidate for a deorbit mission currently in development by ESA.